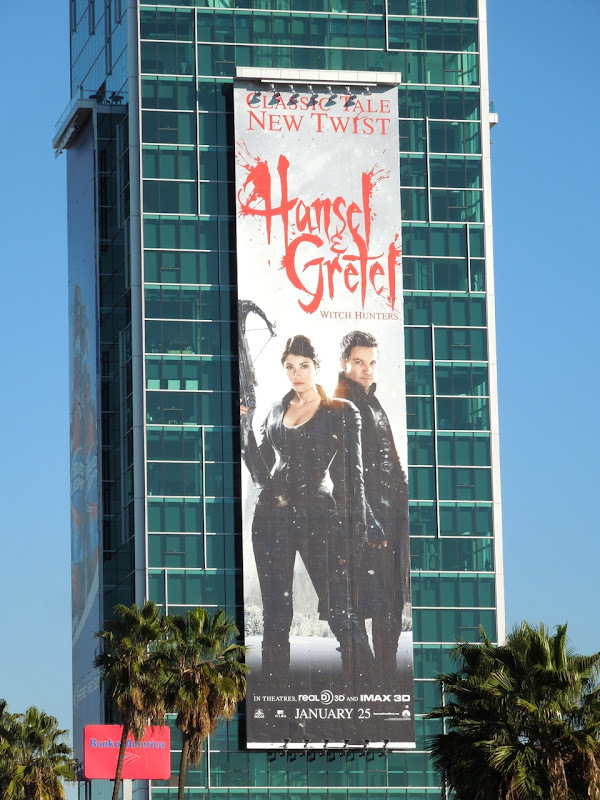 Are vampires and werewolves passé these days? 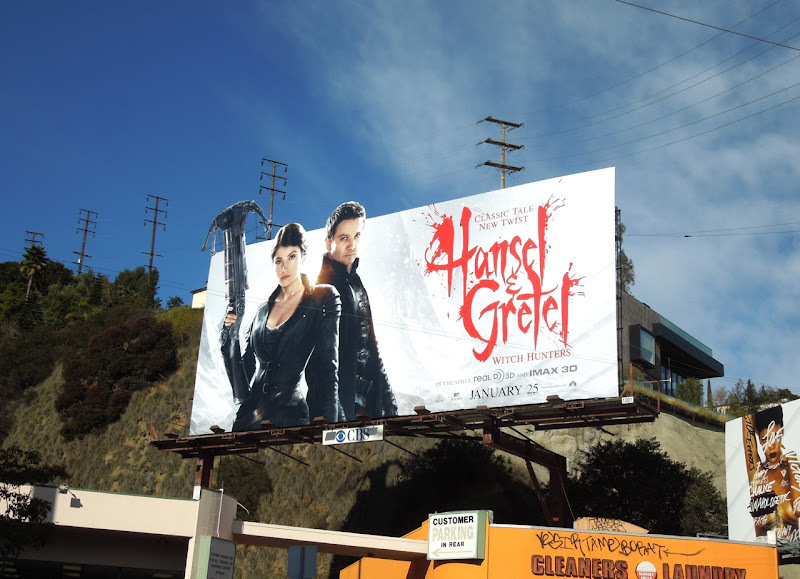 Will 2013 be the year of witch? 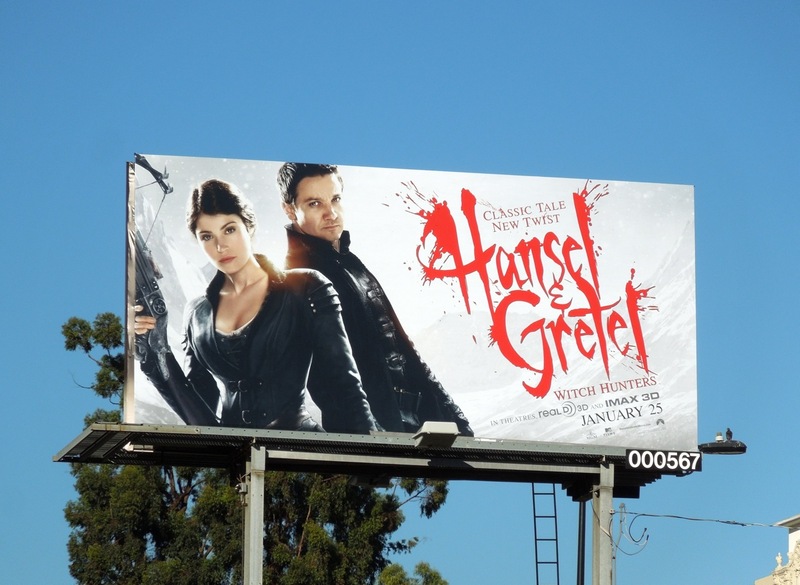 Not if Hansel & Gretel: Witch Hunters have their say anyway. Here's a dark new spin on the classic Brothers Grimm fairytale and in this version the siblings, who survived their childhood encounter at the gingerbread house, are all grown-up and vengeful bounty hunters out to exterminate all witches. 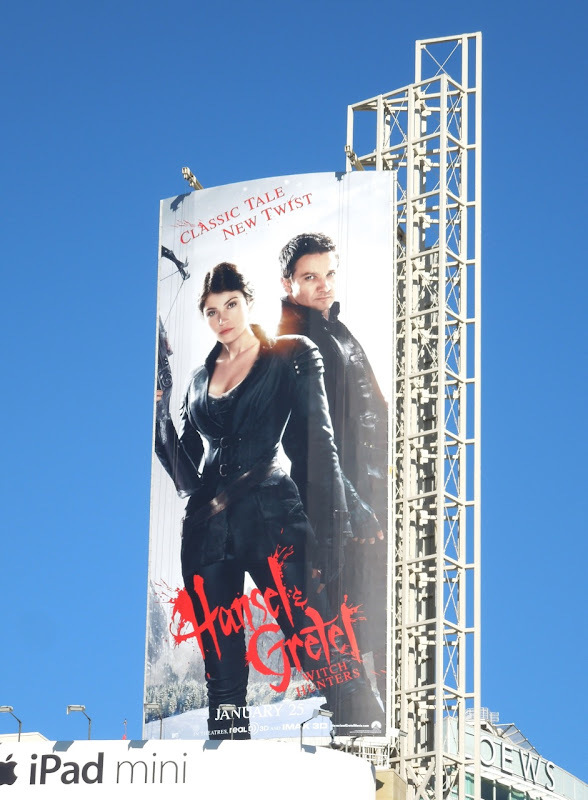 Gemma Arterton and Jeremy Renner are the titular Witch Hunters and look the part with their crossbows and black leather outfits. 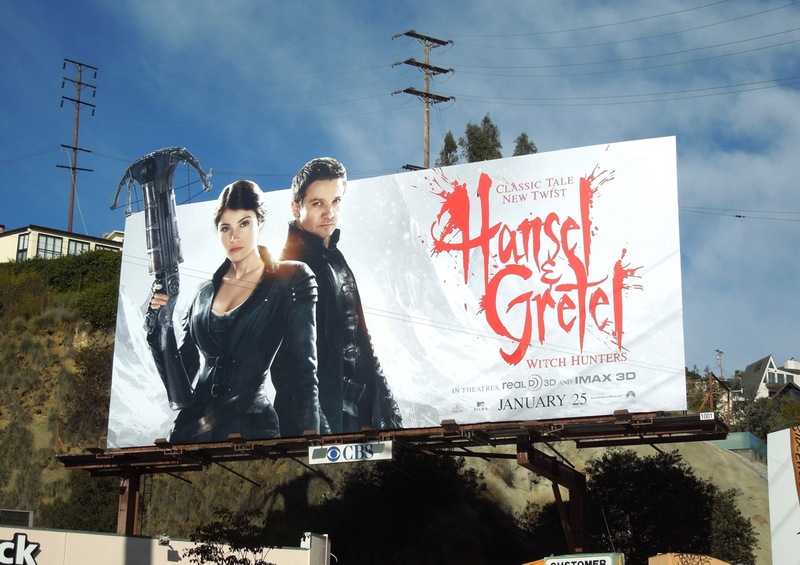 The formidable duo face off against Famke Janssen and her supernatural coven in this fantasy movie, which you know the studio would love to be a start of a new franchise, so let's hope it's not as much of a disappointment as another monster hunter of legend, Van Helsing. 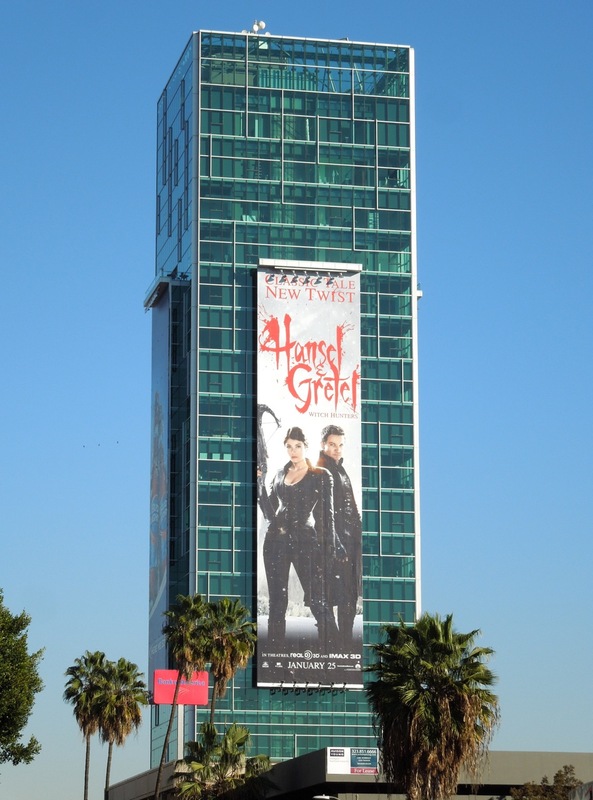 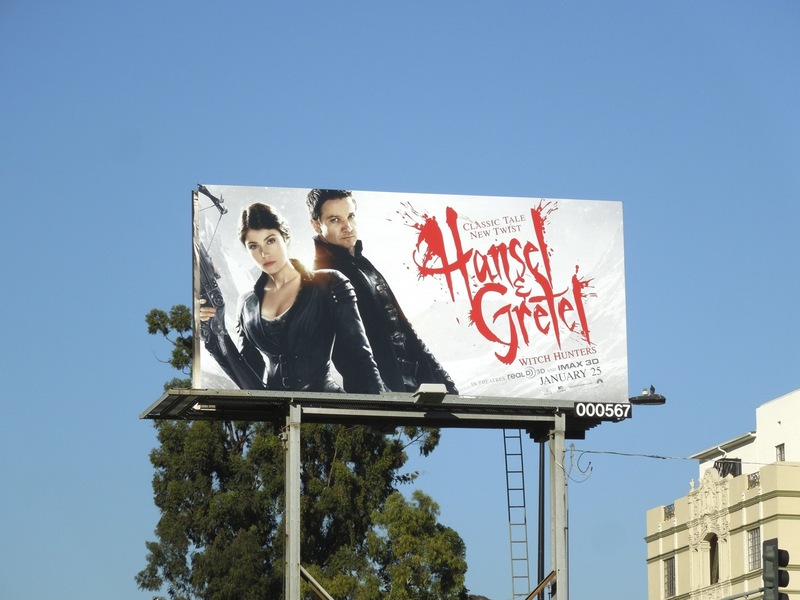 These billboards were snapped around the streets of L.A. in the first week of January 2013, including this special extension version along Sunset Boulevard and super-sized, highly visible creative at the corner of Sunset & Vine. 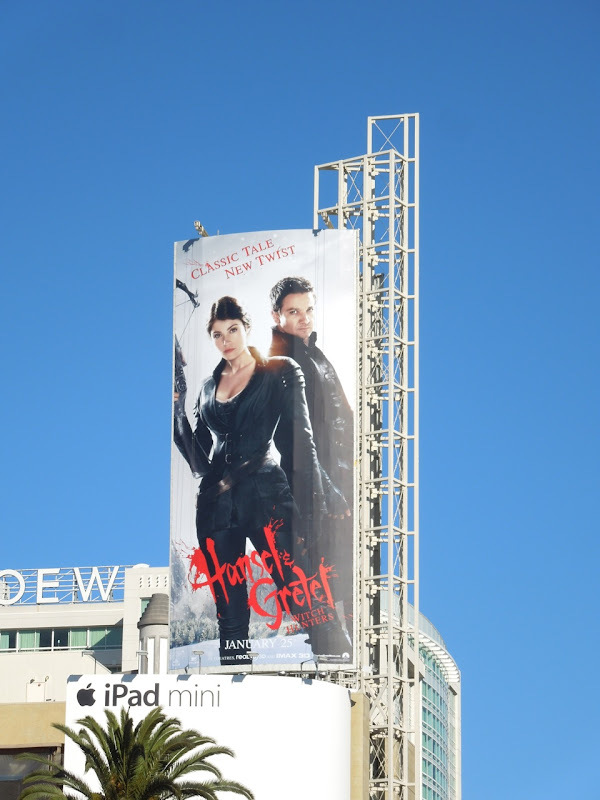 If you're a Jeremy Renner fan, be sure to check out these cool billboards for The Bourne Legacy and The Avengers, plus if you're an admirer of Gemma Arterton take a look at these Prince of Persia movie billboards.